The luxury SUV will be going after the production SUV record at Pikes Peak. The Volkswagen Group is going all-out at Pikes Peak this year. First, Volkswagen itself will be chasing the electric car record on the American hillclimb, while subsidiary Bentley will also be after a record of its own. 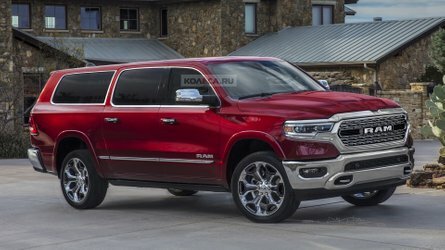 The Crewe manufacturer is aiming for the production SUV record at the Colorado event, with legendary drifter, racer, and Pikes Peak competitor Rhys Millen behind the wheel of a lightly-modified Bentayga. 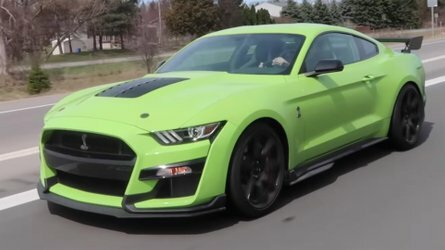 When we say "lightly-modified," the car of course has a roll cage, fire suppression system and racing seat as any other competition car would, but the rules also stipulate that some of the interior trim has to be temporarily removed, so that's gone – a staggering 660 pounds (300 kilograms) of it in fact, giving a good idea of just how much has gone into the interior of the Bentayga. The tires are also specially selected from Pirelli’s DOT-marked range. Engine-wise it's the same 600-horsepower (447-kilowatt) W12 from the road car, while the road-spec adaptive air suspension and 48V electric active anti-roll control are also fitted, along with a sports exhaust from Akrapovic completes and the factory option Bentley Styling Specification kit – which adds a carbon fiber front splitter, diffuser, side skirts and aerodynamic rear spoiler. 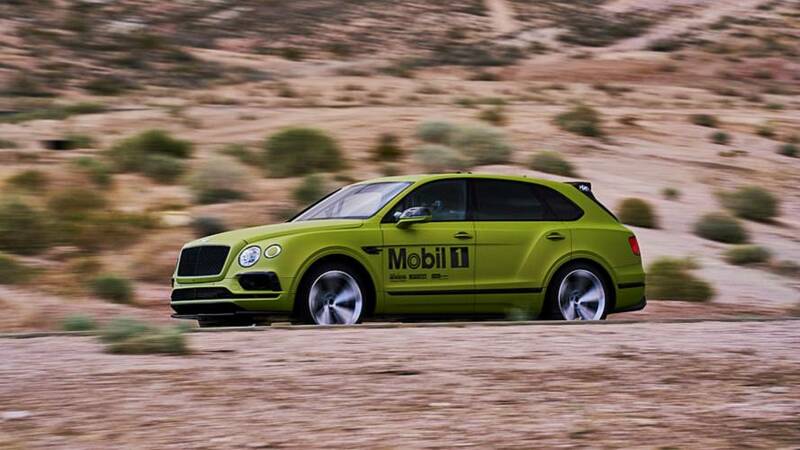 "We’ve honed the Bentayga’s incredible abilities and ensured we have a car for Pikes Peak that’s both safe and fast through two very productive test sessions with the Bentley Motorsport team," said Millen, who was the 2012 and 2015 overall winner and modified electric record holder at Pikes Peak. 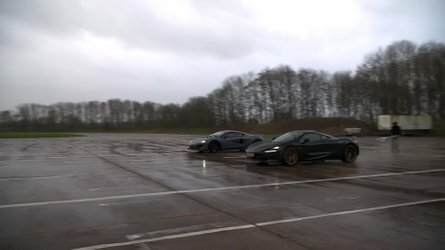 "The course is one you can only attack with a car that can gain and lose speed very quickly, because it’s so tight and twisty. 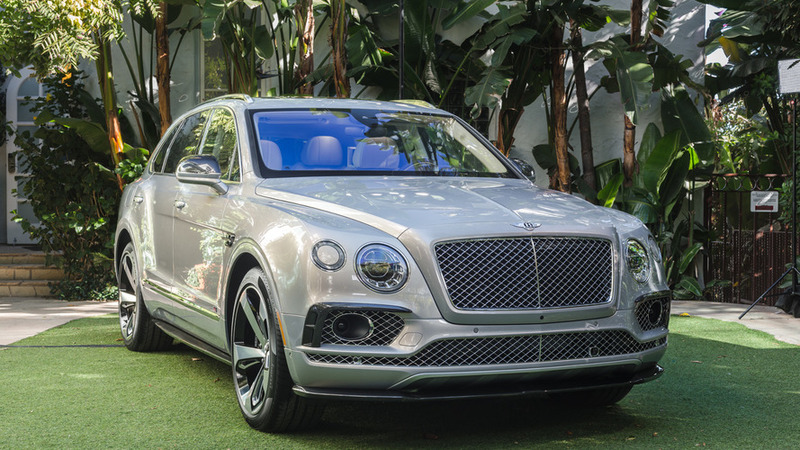 The combination of 600 hp, 664 lb-ft and carbon ceramic brakes means that the Bentayga can accelerate and decelerate incredibly hard – and that’s what I’ll be counting on for my run. I can’t wait to get started at the mountain later this week." 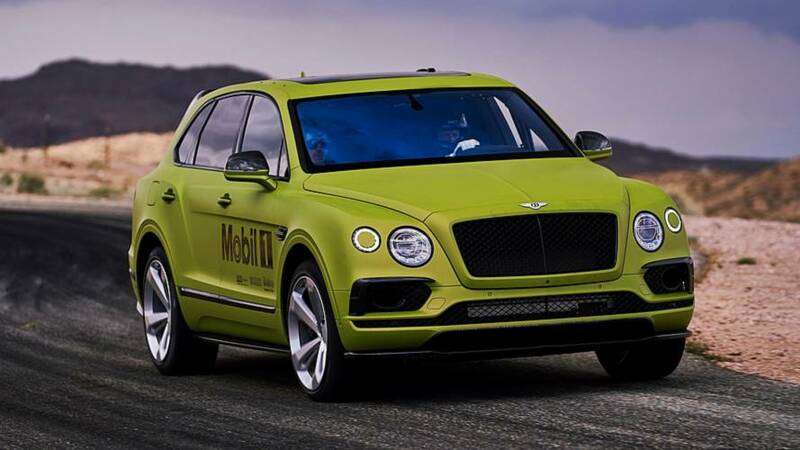 (Crewe, 18 June 2018) After a six-month preparation and development programme, a race-ready Bentley Bentayga is in Colorado and ready to take on the 96th running of the Pikes Peak International Hill Climb this weekend. Along the exceptionally challenging 12.42-mile course, which features 156 corners and a 4,720 ft climb, the Bentayga will have to average a minimum of 60 mph to achieve its target – to claim the outright Production SUV record. Tackling the challenge will be two-time overall Pikes Peak champion Rhys Millen, whose race team has been working tirelessly with Bentley Motorsport this year to prepare the car for “The Race to The Clouds”. The combination of 600 bhp engine, adaptive air suspension and 48V electric active anti-roll control makes the Bentayga the perfect challenger for the SUV record. 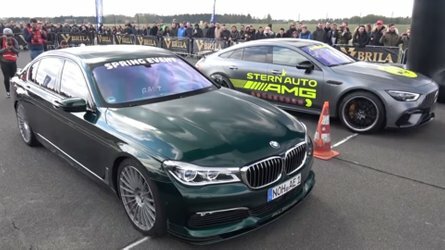 As a competitor in the Production class, minimal changes have been permitted. 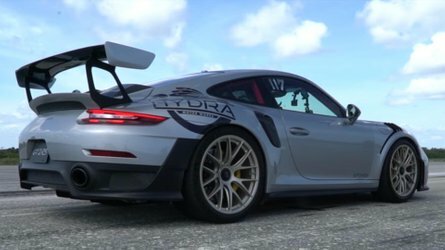 The car features a roll cage, fire suppression system and racing seat, plus new tyres selected from Pirelli’s DOT-marked range. 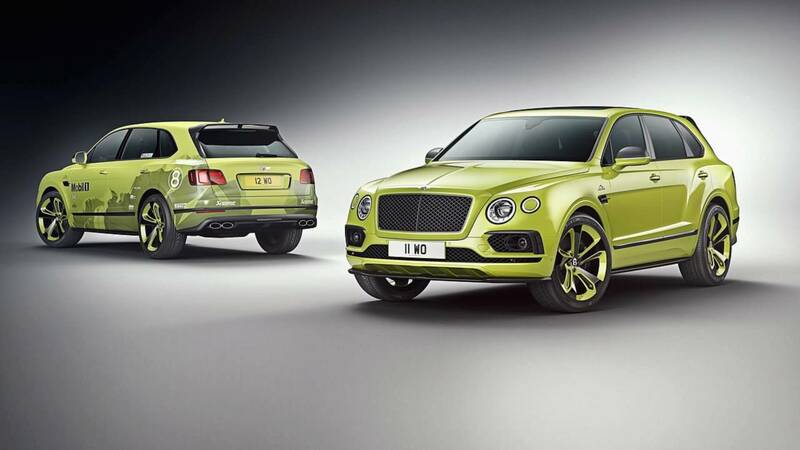 Around 300 kg of interior trim has been temporarily removed for the event as stipulated by the rules, but in all other respects the Bentayga is a standard W12-powered production car. A sports exhaust from Akrapovic completes the specification of the car, which is finished in eye-catching Radium Satin paintwork and Bentley’s Styling Specification kit – adding a carbon fibre front splitter, diffuser, side skirts and aerodynamic rear spoiler. For this unique challenge of performance, speed and precision, Bentley has once again partnered with Mobil 1, who provide engine oils for the Bentley range. With the stresses of full-load performance at high altitude, only the highest quality engine oil will protect the engine and allow it to perform faultlessly, delivering the power that Millen will need to break the record. The engine is filled with the same Mobil 1 oil used across the Bentayga range.